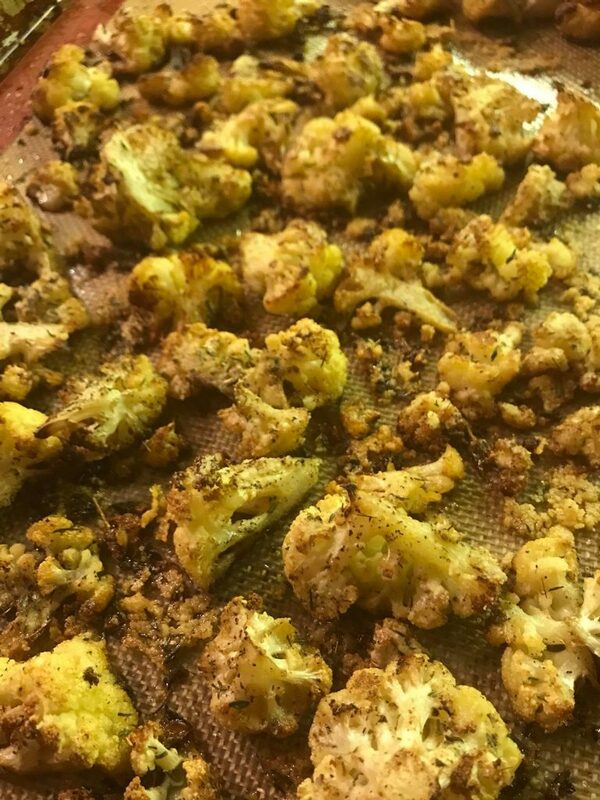 How I make my roasted cauliflower: Preheat oven to 375. Cut into florets, slicing so they lay flat. Drizzle about 2 Tbsp extra virgin olive oil over them, and toss with 2-3 minced garlic cloves. Roast for 30 minutes, turn over. Sprinkle with grated parmesan cheese and thyme leaves. Increase temp to 425 and roast for an additional 10-15 minutes until golden brown.